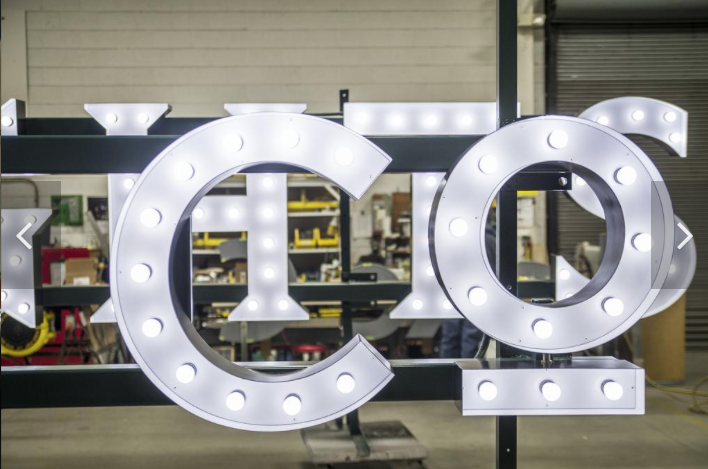 Business Journal: Poblocki Sign starts installation of 'iconic' City Lights Brewing sign — City Lights Brewing Co. 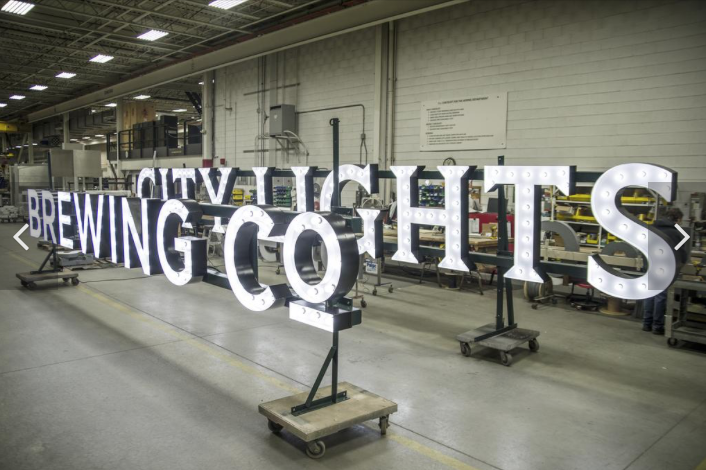 Installation was to start Monday on a sign with the potential for iconic status at City Lights Brewing Co. in Milwaukee’s Menomonee Valley. The sign was built by Poblocki Sign Co. of West Allis, which has a crew on the site on West Mount Vernon Avenue, just east of 25th Street. The sign will go atop the five-story octagonal tower and be visible from Interstate 94. 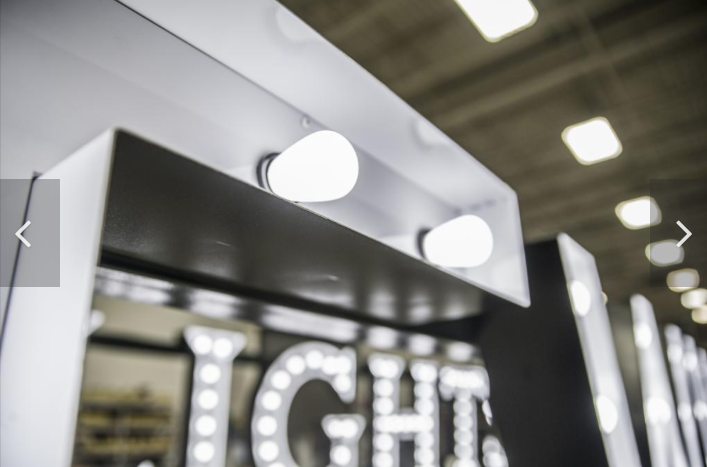 The structure decades ago housed Milwaukee Gas Light Co.
“What people who drive by on 94 are going to see is going to be iconic,” said Mike Kinsella, senior sales consultant at Poblocki Sign. The biggest challenge for Poblocki Sign was building a steel structure to support the sign because the existing roof wouldn’t have held a very large sign, Kinsella said. Poblocki’s in-house engineering staff developed a solution that will create a massive steel structure which actually will be anchored to a floor 20 feet below the roof, he said. 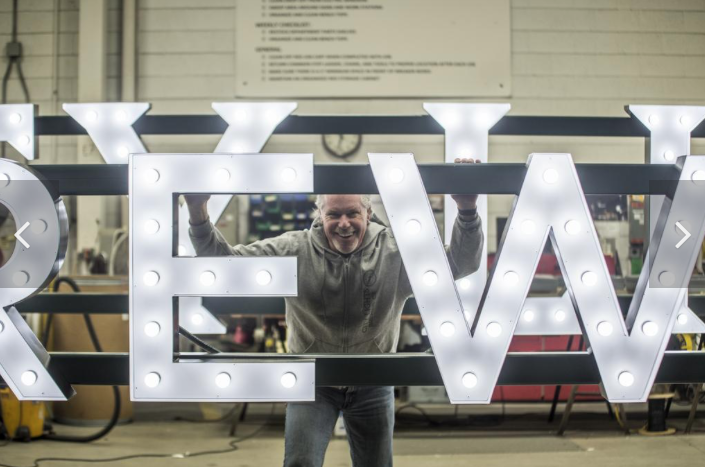 The letters for “City Lights” will be 3 feet, 9 inches tall with exposed white LED bulbs that will generate a very bright, white image, Kinsella said. Since late 2015, Poblocki Sign has created and installed two other prominent signs in Milwaukee. One was for the new Northwestern Mutual tower overlooking Milwaukee’s lakefront and the other was for the Riverside Theater in downtown Milwaukee.